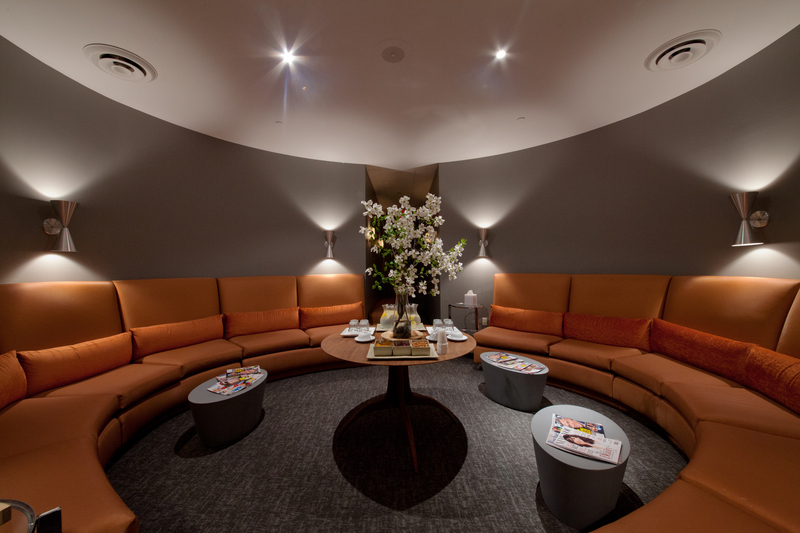 Nestled beneath bustling Park Avenue, Oasis Day Spa is a relaxing haven for the weary in need of a good pampering. After descending an impressive, marble-laden staircase, I entered into a well-lit and pleasantly fragrant foyer and shop. In fact, the entire spa smells warm, cozy, and delightfully floral. Now celebrating its 20th anniversary, Oasis Day Spa has perfected a balance of classic comfort and tasteful, modern relaxation. I was running a bit late for my appointment, or I would have taken advantage of the luxurious, dimly lit lounge with its nice selection of flavored waters and snacks (banana chips, craisins, and furikake). I was also rather tempted by the dry sauna (available for use before all treatments). Alas. After changing into my cozy robe and Oasis-issued slippers, I was warmly greeted by Sandra, my technician and skin guru. As with most Manhattanites, I’ve been battling the fall weather and its unpredictability all month, so I was not surprised when Sandra told me my skin looked a little dehydrated. My technician was definitely one of the highlights of my Oasis experience, and I found her candid, friendly demeanor an added bonus for this overall relaxing experience. 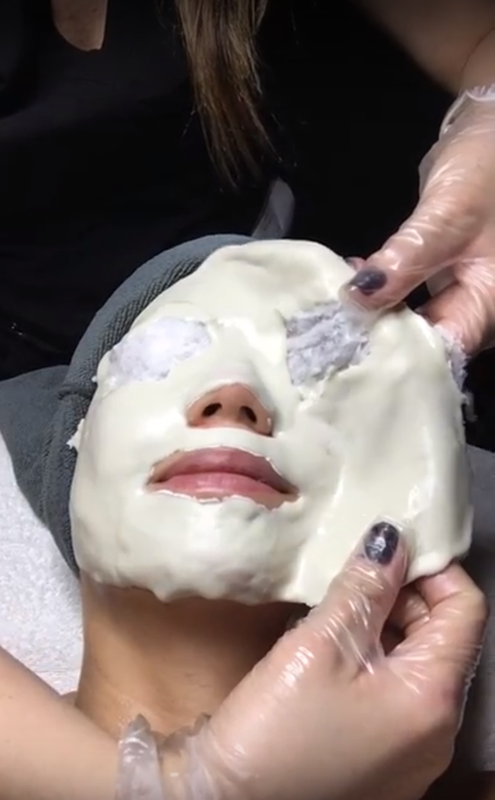 This face mask felt soothing and came off in one satisfying piece. 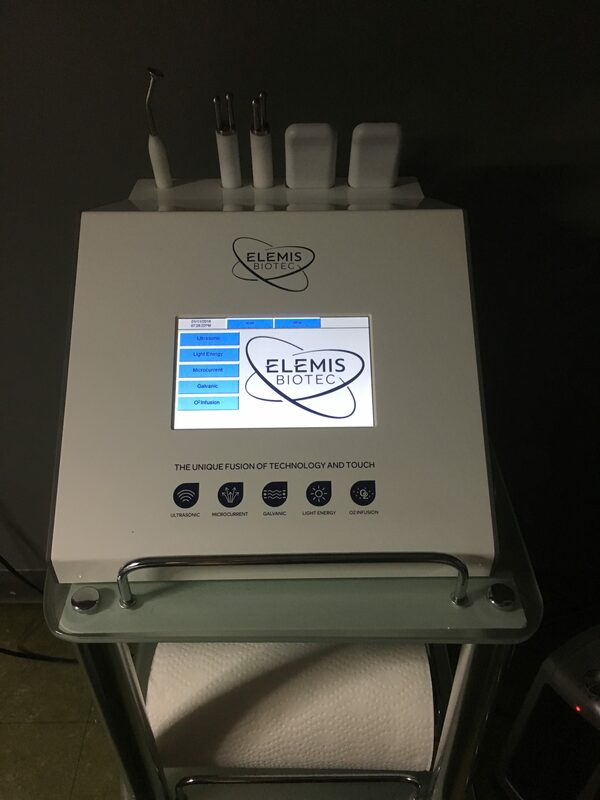 Loved my ELEMIS ultrasonic peel. 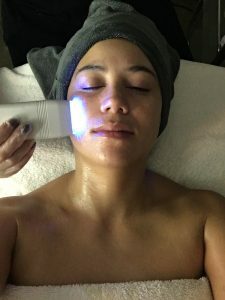 After my skin assessment, I settled in for my hour long Skin Resurfacer facial ($250), a pleasant service that treats skin tone, blemishes and fine lines, as well as skin texture. I especially enjoyed the ultrasonic peel, and found it less abrasive than other technologies. Gentle, yet definitely effective, as I could feel the city grime scrubbed from my face during the treatment. My Skin Resurfacer treatment ended with healing LEDs. I also enjoyed the very hydrating rubber mask. After extractions, my face often feels bumpy and irritated, but this mask felt like delicious cool whip and came off in one satisfying piece. Drink your water. As it starts to get colder, we tend to forget to drink our eight glasses a day. Between the colder, dryer air and the unforgiving heat of the radiator, our skin tends to flake and lose its shine without proper hydration. To keep your skin further hydrated, invest in a humidifier. I actually should say “invest” because humidifiers are dirt cheap. I bought mine last winter off Amazon and haven’t gone a cold night without it. Plus, I can add essential oils like lavender to my humidifier to make nights extra soothing. Get facials regularly. 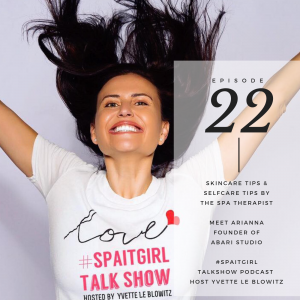 You should be exfoliating 1-2 times per week, but a facial every 4-8 weeks can really help with the deep cleaning your skin so desperately craves during those dreary winter months. Oasis has an affordable express service for just $80. Needless to say, I’ll definitely be back at Oasis, and I hope to try out the Breathe Salt Rooms located next door, too. So stay warm, drink your water, and go to Oasis Day Spa, your skin will thank you.